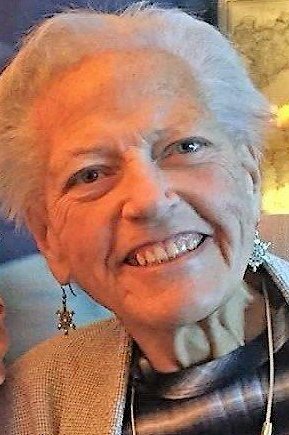 Sandra L. (Mrs. Mark) Suilmann, age 68, of rural Wabasha, died Saturday March 17, 2018 at Morton Plant Hospital in Clearwater, FL. She and Mark were there visiting with friends while on vacation. She was born December 28, 1949 in Fort Worth, TX, the daughter of Edward and Ruth (King) Hilbert. Shortly after that they moved to Hollywood Hills, California. That's where she grew up and graduated from Immaculate Heart High School in 1967. Sandi attended and graduated from Gonzaga University in Spokane, WA in 1971 with a Bachelor of Arts degree in English. She taught elementary classes in Catholic schools in Alaska, Washington and then Winona. She continued her teaching career, teaching secondary students in public schools in several communities in Minnesota. She received her Master’s degree in Education from St. Mary’s University in 2013. Sandi was united in marriage to Mark Suilmann on August 21,1976 at St. Mary's Mission Chapel in Omak, WA. She was a member of St. Felix Catholic Church in Wabasha. Sandi enjoyed playing volleyball and following many different sports during her lifetime. She coached volleyball while she taught in Winona. She loved reading, doing her arts and crafts, and cooking. Sandi is survived by her husband, Mark Suilmann, Wabasha, MN; brother, Bill Hilbert, Custer, SD; mother-in-law, Elaine Suilmann, Wabasha, MN; brothers-in-law, Dale (LuAnn) Suilmann, Elk River, MN, Lynn (Julie) Suilmann, Farmington, MN; sisters-in-law, Mary Suilmann (Rick Crispino), Minneapolis, MN, Anne (Pat) Dillon, Minnetonka, MN; two aunts-in-law, Bernice “Bunnie” Suilman and Annabelle Suilmann, both of Wabasha, MN and several nieces and nephews. She was preceded in death by her parents, Edward and Ruth Hilbert and her father-in-law, Francis Suilmann. A memorial Mass will be offered on Wednesday, March 28, 2018 at 11:30am at St. Felix Catholic Church in Wabasha with the Reverend Gregory Parrott and Deacon John Hust officiating. Interment will follow at St. Felix Cemetery. Family and friends may call at Abbott Funeral Home in Wabasha on Tuesday from 4-8pm with a prayer service at 8pm and at the church on Wednesday one hour before the Mass. Memorials are preferred to St. Felix Catholic School, 130 3rd St. E., Wabasha, MN 55981 or to St. Elizabeth’s Community Development Foundation, 1200 5th Grant Blvd. W., Wabasha, MN 55981.